On her wedding day, she was humiliated; her status as the legitimate wife was instantly changed into that of a concubine. No matter what, in this life, she would never allow anyone to hurt the people she loved. And those people who harmed her in the previous life, she would make them pay the price! I wont say anything of the rebirth 5 year old MC, that is certainly not a 5 year old mentality. It's the same as Chu WangFei and Shen Yi Di Nu. Same old story is repeating over and over again. The summary itself is no different from other rebirth novels. Evil mei mei stealing husband, evil mei mei killing you. Rebirth. Revenge. Meeting ML. Taking revenge together. Nothing special. If you're a rebirth lover then this will be for you but if you're searching for something unique then this isn't for you. The English translation is super high quality and very readable - many thanks to the translator for the hard work!!! It was a good read. It's very similar to "Chongfei Manuel" and "Rebirth of empress of military lineage", you can say that it's a mix of the two. What I like the most is that with her rebirth she also changed the fate of many poeple for the best. For the rating I deduced one star because the ending was too ruched and many things were left insolved. I think it's a pity !! If the author added some side stories he/she could have solved everything. The story is good so far (was expecting more chapter). 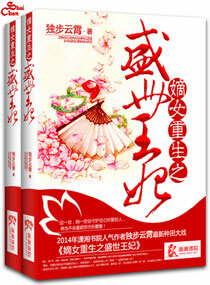 This novel is really similar to ‘the rebirth of the malicious military lineage’. So I would definitely recommend this for those who are looking for a historical novel to read. I find the main character to be liking so far, just the name of her’s that really makes it hard to remember.